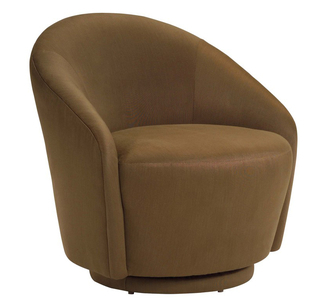 The Petite is a small-scale swivel chair with smooth curved arms that cradle the body. Its ultra-soft seat and back is just one of its appealing features. This smaller silhouette can find its place in any place in the home.